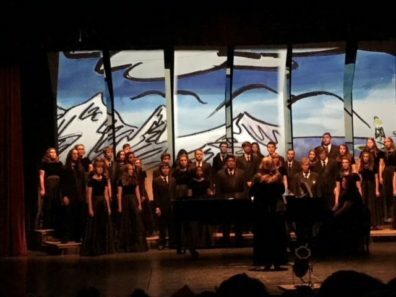 The WSU CONCERT CHOIR, conducted by Dr. Lori Wiest, consists of 38-42 singers, from freshmen to graduate students in various degree studies from across the campus, such as music, engineering, communications, and neuroscience. Members of this select ensemble are chosen for their vocal talent as well as their commitment, aural skills, and sight-reading abilities. 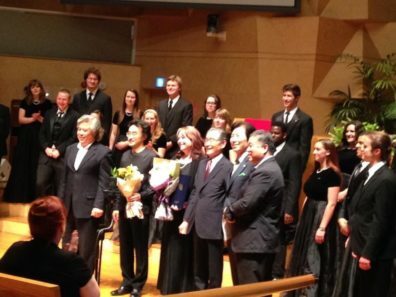 They perform music of all periods and styles, often performing music by contemporary composers, and their concerts offer creative programming and presentations. 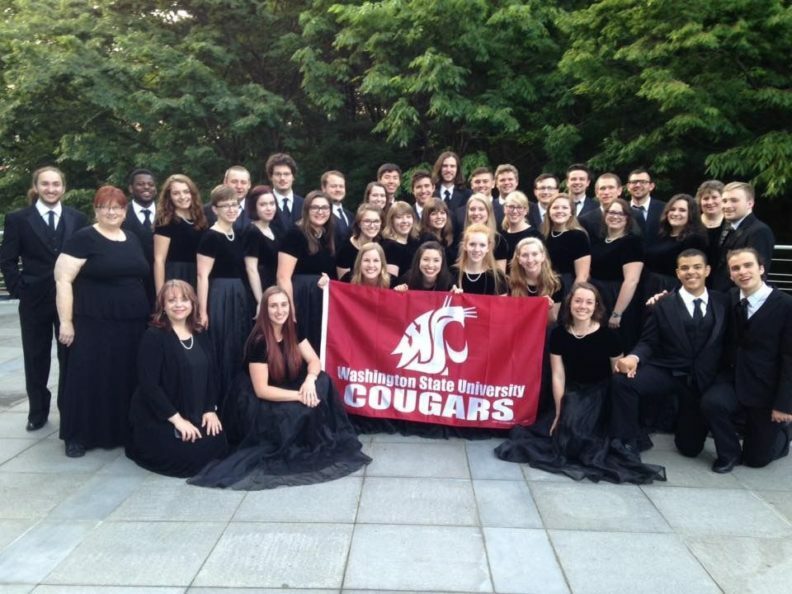 As part of a grant from the National Endowment for the Arts received by Dr. Wiest, Concert Choir toured the state of Washington promoting music by American composers and performed with composer Eric Whitacre who conducted a series of concerts for the American Choral Music Festival sponsored by the same grant. The ensemble generally tours within the region in the spring and embarks on international performance tours every 4-5 years, recently visiting South Korea, Russia, Czech Republic, Hungary, Austria, and Germany.